Flyover the Path of the August 2017 Solar Eclipse! Eclipse2017.org has created a super cool video which uses the latest calculations of the path of the August 2017 Solar Eclipse, combined with Google Earth, to create a “fly-along” with the moon’s shadow as it travels over the face of the USA in 2017. 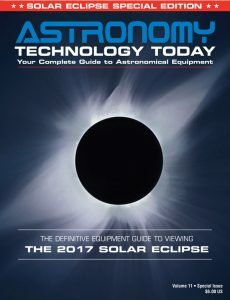 Be sure to visit their website which takes you step-by-step with info on the best locations to view the eclipse by each state.